Do you remember the last time you noticed a stick and imagined it as something other than a stick? When did a stick stop looking like a wizard’s wand, a utensil to dig into the earth, or an object to float down a creek? What if an entire generation of children never experienced playing with something as basic as a stick? I recently had the incredible opportunity to chat with Dr Scott Sampson and discuss the effort needed to bring an entire generation back to engaging in nature. 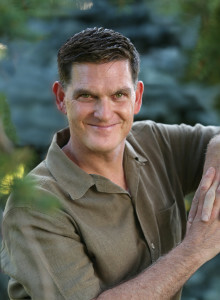 For those of us with kids who watch PBS’ Dinosaur Train, we know Scott D Sampson, Ph.D., as the host, “Dr Scott the Paleontologist”. His catch phrase at the end of each segment is: “Get outside, get into nature, and make your own discoveries!”, which resonates with any parent that encourages outdoor play. However, as parents who want their children to experience nature, we are combating the phenomenon of society becoming more and more disengaged with nature. of the Research & Collections Division of the Denver Museum of Nature and Science. Where do you and your family enjoy hiking? My family only moved to Denver 3 years ago. Before that, we lived in California and liked to hike along the coast in the Marin Headlands, along Pacific Ocean. Here in Colorado we have found an urban trail called the High Line Canal, it’s our default place to go to as a family. 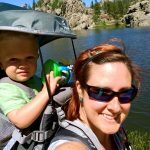 HiB: What is your best advice for parents who aren’t particularly outdoorsy but want to get their family out and hiking? First of all, you don’t have to be an expert, in anything! The key is just to get out and start doing it. Use online resources. Find a place close by to hike. Find an easy place. With toddlers, the key is to not worry about destination. As adults we tend to want to have point A to point B like a lake, or a summit of a mountain. Little kids can get turned off that way. For them it’s all about the path. Watch them, see what interests them. Stop when they want to stop, play when they want to play. By doing that you are cementing their love of the outdoors. For kids, a backyard with some bushes or a park with some trees is plenty wild. For a kid’s brain, walking up a creek in a city is like being in the middle of the Alaskan wilderness for them. The key is that it’s simple, you can start out doing it tomorrow, it’s free and easy, and you don’t have to be an expert. HiB: What are the benefits of toddlers getting dirty? How can a stick as a teething toy or squishing mud in their toes help young ones later in life? It turns out, it helps them in ways that a few years ago we couldn’t have even anticipated. Physiologically, it’s critical for healthy immune systems. Kids will have less incidence of allergy and asthma if they spend time outdoors as toddlers. Even things like eating dirt turns out to be important as it changes the microbiome in the child’s gut, and leads to stronger gut flora. They are better able to handle a larger range of foods. Turns out, we shouldn’t say as much, “don’t eat that, put that down!”. 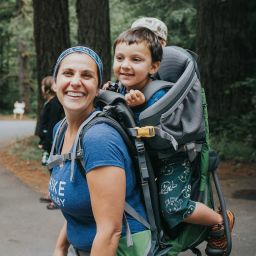 That personal experience of just getting dirty is something that most kids love to do and by giving them that multi-sensory contact you are allowing them to build that emotional connection with nature, with getting dirty. When playing outdoors it’s so different than playing with a toy; it’s that whole loose parts approach where there are sticks and rocks and leaves and mud and textures and feels and smells. We develop a different kind of way to sense the world. If you are just looking at a single toy or screen it’s a very fixed and focused attention, whereas when you are out in nature it’s a much more diffuse kind of attention. Getting toddlers out and dirty in nature is important for them physiologically, for coordination, risk taking, their immune system, cognitive development learning to be imaginative, and kids tend to be more social, they become less possessive of toys. So, it’s benefits are all around. Also, it will calm kids down! If you’ve got a baby that’s upset, take them outside and 9 times out of 10 they will just stop, because it’s this whole new world to sense. HiB: What is the difference between structured and unstructured play? Why is it important for children to have unstructured play time? This is something that only in the past 10-15 years that we have come to understand in some depth. For people who study play there is no such thing as truly structured play. Play really only happens when it is driven by kids and they are making up the rules and they are figuring out what to do and how to interact. The power there is the kids tend to be more creative and more imaginative when the play they have is unstructured . Take a kid to a metal an plastic playground, that’s some adult that’s decided how the kids should play and kids become competitive in that setting. Whereas, when kids are out in nature it’s much more free form. A stick can be any number of things in play, a light-saber, a drawing instrument, a lightening rod, and kids make up all this stuff as they play. That doesn’t mean they should never play structured games such as hopscotch but they need to have that unstructured play, and that’s become the scarce commodity these days. We program kids lives to the nth degree. Even the kind of play they have is dictated by what the parents want to do and they need to make the rules up. HiB: When people hear “nature” they think they need to find it in parks, wilderness areas and rustic camping. How can we find nature in an urban setting? What IS nature? How do we change this perception, that nature does not exist unless it is an uninhabited area of land? We absolutely need an awareness campaign. Nature is everywhere. At some fundamental level we ARE nature. We consume nature. Everything that we eat and drink comes from nature. One of the most basic equations that we have broken somewhere along the way is that food equals nature, everything that we consume was once alive and we don’t think about it that way. So, that’s one of the easiest ways to make that connection. Remind kids at meals: We have nature to thank for this food. This food comes from the sun, which is captured by plants, which are fed on by animals, which then die and decay and go back into the earth from which the next generation of plants and animals grow. So reminding kids of that is powerful. Even better is to actually have kids grow food, whether it’s in the backyard or the schoolyard, whichever that may be. Kids are way more likely to eat vegetables they grow them themselves and they are more likely to make those connections as well. So those are really concrete things we can do. If we start to take notice of nature that we see around us everyday kids will start to understand it too. There is wild nature in every city. Every bird we see is wild nature. Every insect we look at is wild nature. Most of the time we don’t notice it. One of the first shifts that needs to happen is that grown ups need to start noticing nature and valuing it and then bringing it to kids’ awareness. 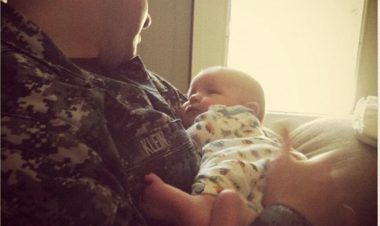 When you step out the door in the morning with your child just stop and say, “Ok, what can you hear out there?”. Maybe it’s the wind; maybe it’s some birds singing; maybe it’s insects if it’s in the evening sometimes. whatever it might be, nature is out there and it’s making noises and it’s stars at night and clouds during the daytime. Pausing to notice it is the first part. Second part is engaging with it. Letting kids take some risk; climb a tree, get in mud, etc. The third thing is just inspiring a that sense of wonder. It turns out, answers aren’t the thing that really inspire kids to develop a love of nature; often it comes from questions. Just getting kids to think about things that you may not even know the answer to, like “Why do you think the sky is blue? Why do you think the leaves fall off the tress in the fall rather than staying on all year long?”. Or, “Why do think birds disappear in the fall and come back in the spring?”. Just by asking those questions, kids start to wonder about those things and really stay curious about stuff. If they want to know answers: now you can become co-investigators! 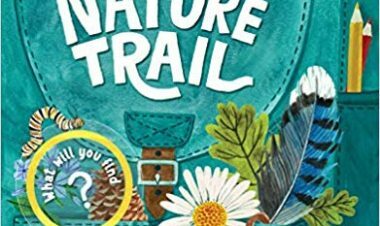 HiB: If children don’t become interested in nature and excited about exploring the world outdoors how will we find adults in the future who are willing to explore? What if no one dug for fossils anymore? Yes, that’s interesting, I am a dinosaur paleontologist and I owe that to my experience in nature as a kid. We are at arguably the most critical juncture in human history. Out of over 6,500 human generations, this is the most important one. To use Richard Louv’s term, we are the “last generation in the woods”. By that I mean we are the last generation to have grown up playing outside. If we don’t pass that along to our kids, then they’re not going to value nature and a generation from now, it will seem weird to even want to go outside into nature. At some level you may say, “but who cares, we’re more of a technological society”, but it turns out to be critical to the health of children. Kids these days are experiencing much higher incidence of obesity, heart disease, attention deficit disorder, depression, myopia, all kinds of conditions that are exacerbated by an indoor life style. To the point where one Surgeon General said that this generation may be the first to have a life expectancy shorter than that of their parents. Equally important, who is going to preserve the wild places, the natural places in the world if they never get out and experience them? The decision to keep state parks and national parks is made by generation after generation and if they don’t have an experience with the outdoors they aren’t going to preserve those places. In the end, connecting kids with nature in this generation is essential for the health of people and the health of the places that they live. I go so far as to say it’s one of the most critical and overlooked crises of our time. HiB: Now we have this cultural fear of having the authorities getting involved if we let our kids go to the neighborhood park by themselves. So on top of nature being “uncomfortable” and the outdoors being “dangerous” from predators and hurts, we have to be worried about what will happen if we let go and let our kids play outside without us attached to their side. Do you envision a way to educate the masses and help make urban play a natural occurrence again? We need a big awareness campaign. Beyond that, we need to take back the streets. I mean, we need to start going out there and being with kids. The chances of children being abducted are no greater than in the 1950s. Driving your kid to school is far more dangerous than letting them play outdoors. We don’t want kids to take risks, whether that’s climbing trees or jumping off rocks, and yet what the greater risk is, is that kids won’t learn how to handle risks. We know that they are going to be risk-takers as teens, so we want to give them experience when they are younger so that they can navigate those risky situations when they are adolescents. That is a big part of this. In the end it won’t happen unless people become aware and shift their behavior. All of these folks who are part of HiB need to get out there and say, “Hey, I’m doing this because it’s the most important thing I can do for my kids.”. If somebody complains because your kids are playing in the front yard, that’s an opportunity for a conversation. It does get pretty dire when parents can be threatened with having their kids taken away if they let them walk home from the park. This all happened in one generation and there is no reason why we can’t shift it back in one generation and get kids playing outdoors again. Yes, we live in a technological world but if we start to value nature and make the connection the way we do with literacy for example, something that is not frivolous but something that is essential for raising healthy children, then we’ll do it. It won’t happen without that awareness effort. HiB: In your book, you mention that Dr Suzuki is a mentor of yours. How are his and your own efforts going to get communities out in nature and change the perception of nature? 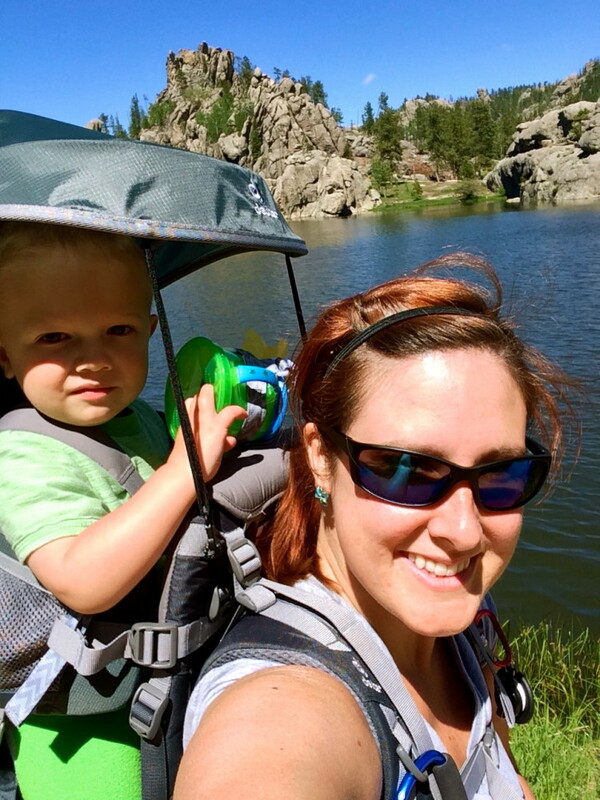 How can Hike it Baby help advocate the need for more outdoor experiences in everyone’s life? When my book came out I did those 30 by 30 nature challenges which is what you folks are doing. Right now the movement is still relatively small and relatively a white affluent movement. We need to make it a movement for every child regardless of their skin color or their family income and we’re in the process of doing that. One of the reason I moved to Denver a few years ago was to start an effort here in the city to scale up this effort and to work with under served communities and communities of color that typically don’t see themselves as connecting with nature. All of that is happening now with help of groups like the Children and Nature Network. I think with city led efforts growing around the country that things are looking brighter than they ever have but we have a long way to go, there’s no question. HiB: If you could explore the earth for one day in another time period when would you choose? Why that era? 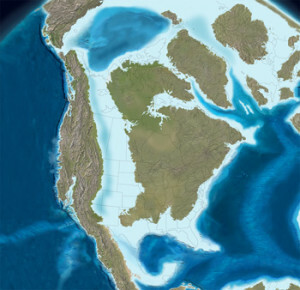 No question, I am a big fan of the Late Cretaceous time period, so about 75 million yrs ago, and I would get dropped somewhere in western North America. I want to see all the range of cool horned dinosaurs. I’ve had the pleasure of naming a number of horned dinosaurs and I want to see what those dinosaurs look like in real life and how they behave and understanding that world. That would be phenomenal. 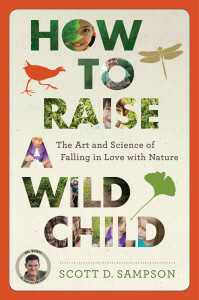 Inspiration How to Raise a Wild Child, Scott D Sampson. permalink. November ’15 HiB30 Challenge Winners!